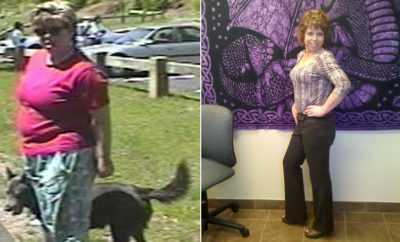 How I Gained It: I had never been on a diet or had to exercise before. I just felt like I could eat whatever I wanted and it wouldn’t affect my figure. But that was back in college when I was more physically active and hardly had time to sit down and rest. When I started working my lifestyle changed dramatically — I was sitting at the computer all day, snacking throughout the day and watching TV in the evenings while eating dinner. It is amazing how quickly the extra pounds piled on. Little by little, my old clothes started to get too small and every time I went shopping for new jeans, I would end up buying a pair that was a size larger than the previous one. I also felt sluggish and tired all the time and didn’t feel like I had enough energy to exercise. It had taken me over a year to realize that my weight gain wasn’t temporary — it was a continuous process that wasn’t about to stop just because I wished it to be so. It was time to act! Breaking Point: My breaking point was summer. I didn’t want to be hiding my body underneath an extra layer of clothes. I simply wanted to feel confident wearing shorts and tank tops without wondering if I looked fat in everything. Coincidentally, my co-workers organized a “Biggest Loser”-style competition at work with weekly weigh-ins and a cash prizes for the winners to buy new fabulous clothes at the end. Being very competitive by nature, it was a perfect opportunity for me to take control over my weight. I decided that I wouldn’t starve myself to death, but rather I’d find a diet that supported healthy weight loss. How I Lost It: I was inspired by Dr. Aziz’s Perfect 10 Diet. It explained what a crucial role hormonal balance plays in our ability to lose weight. It all made sense to me and there was no doubt in my mind that this was the right diet for me. I followed the diet precisely, which was easy because I loved the recipes, and I started to exercise. I won’t lie, the first two weeks were a bit challenging, as I had never disciplined myself like this before. On stage one of diet, grains, bread, rice, any type of pasta and potatoes are not allowed. However, I was able to find recipes that were absolutely delicious and easy to make. Yes, I was following a diet, but it didn’t feel as restricted since I could include a variety of different foods in my daily meals. I never used to have breakfast before, and now it is my favorite meal of the day. I also found new foods that I had never tried before — things like hummus, grilled eggplant and various types of fish. After a while, I started bringing the grains back into my diet little by little, but I tried to not overdo it on grains and potatoes and only have them for one meal during the day. I can have either a bagel for breakfast or sushi for lunch or mashed potatoes for dinner, but not all of them on the same day. In the first three weeks, I lost 15 pounds and now I’ve lost a total of 25 pounds. Eugenia ended up winning her office “Biggest Loser” contest. It took her two and a half months to lose the weight. 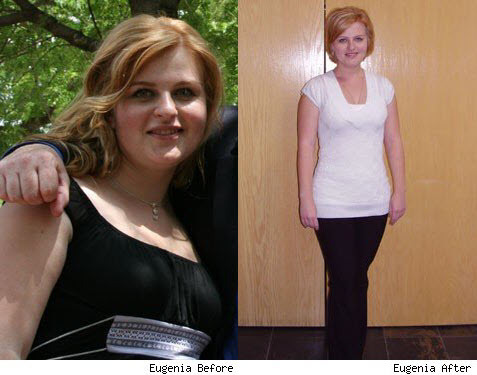 Eugenia’s not the only one who love the Perfect 10 Diet — Magda also slimmed down by following it.